Shortly before the outbreak of World War II, Dr Brendan Kane qualifies in London as a surgeon. He returns to his native County Donegal, where he hopes to marry and settle down, serving his local community. Although his country is neutral during the war, the Irish Government agrees to the use of a ‘corridor’ which considerably shortens the flying time for RAF seaplanes operating in the Battle of the Atlantic, thus extending their range and endurance. Catalinas and Sunderlands taking off from Lough Erne in Northern Ireland, by following the River Erne for only ten miles, can reach the Atlantic in minutes. They do not always return safely and Dr Kane often visits crash sites and tends the wounded. He also gives medical aid to German U-Boat personnel in distress. An intriguing and romantic tale, inspired by real-life experiences. 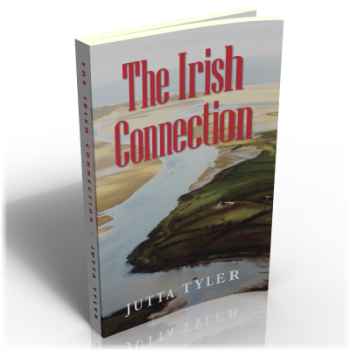 Born and raised in Berlin, Jutta Tyler met and fell in love with an RAF airman during the postwar Berlin Airlift. They remain married to this day and live in Ireland.